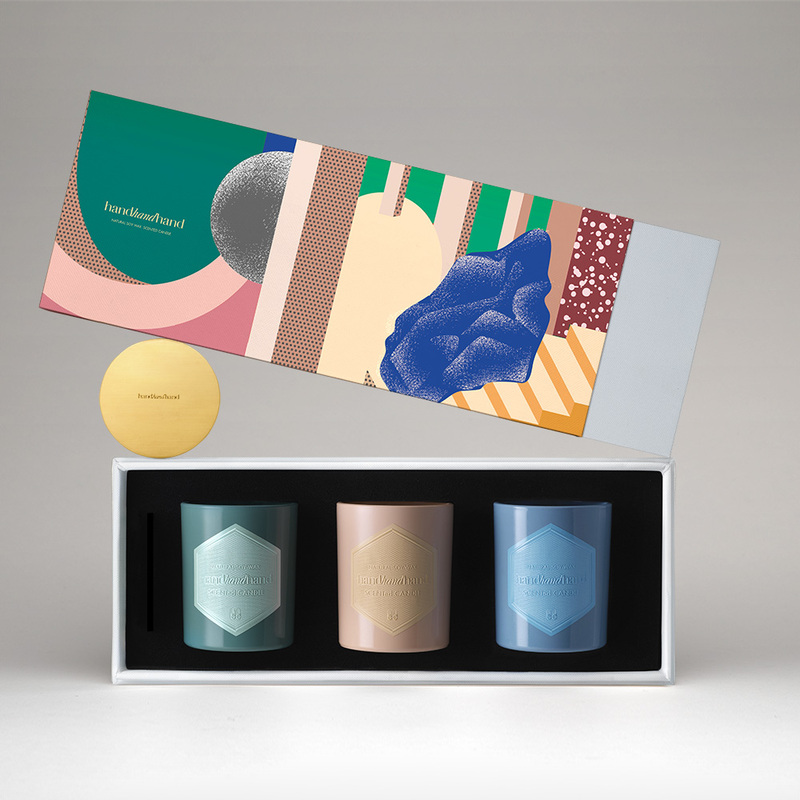 handhandhand presents a new Lovelovelove series of scented candles in a trio of colors. Each fragrance is a short, romantic love story, neither monumental nor infinite. Three vignettes of romance to evoke remembrance, reverie, and anticipation. THIS IS A SUNNY AFTERNOON TEA WITH THE DELICATE SCENT OF TEA AND PINK FLOWERS. To enjoy best diffusion and burning, you need to burn the candle 2 or 3 hours at a time maximum, or until the whole top of the candle goes liquid. /Cut the wick short (1/4 inch) before relighting the candle to avoid unnecessary smoke. /Do not place the candle in a wind draught or directly on a glass, wooden or marble surface. /Never leave a burning candle unattended./Never move or tip a burning candle./Keep out of reach of children and pets.